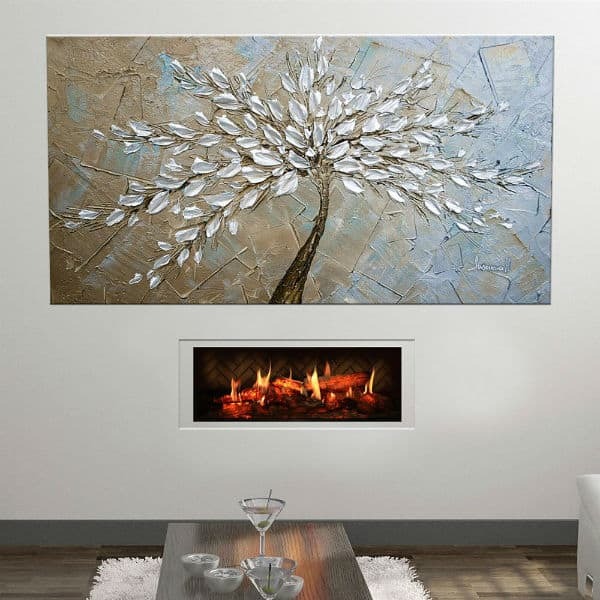 The Opti-V Solo is a fireplace insert that may be added to your existing mantel or other location of your choosing. It features the newest technology from Dimplex, called the Opti-V. The Opti-V flame effect harnesses the perfect technology of previous Dimplex iterations that allows for three-dimensional faux dancing flames. Then, the Opti-V technology introduces new logs that use pulsating ember technology to glow, pop and crackle like authentic logs. The bed of embers features the same LED glow technology, as well. The perfect blend of magic and realism finds its home in the Opti-V Solo by Dimplex. The extremely low energy LED lighting effects cost less than one cent per day to run. The Opti-V Solo is completely green, emitting no harmful particulates or emissions. Perhaps you and your loved ones are ready to step into the future of fireplaces with the ecofriendly, pocketbook friendly, zero maintenance Opti-V Solo by Dimplex. Dimensions 30" W x 17.75" H x 13.6"